Giuseppe Verdi’s (1813–1901) instincts for finding the right material led him to create works that virtually define the general public’s understanding of opera, such as Aida and Rigoletto. 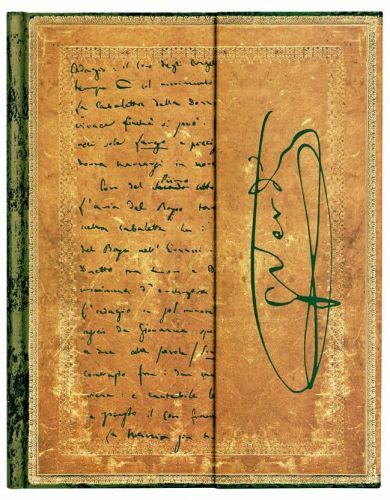 Featured on our Verdi, Carteggio journal cover is an excerpt from his correspondence. May his legacy inspire your own hand.